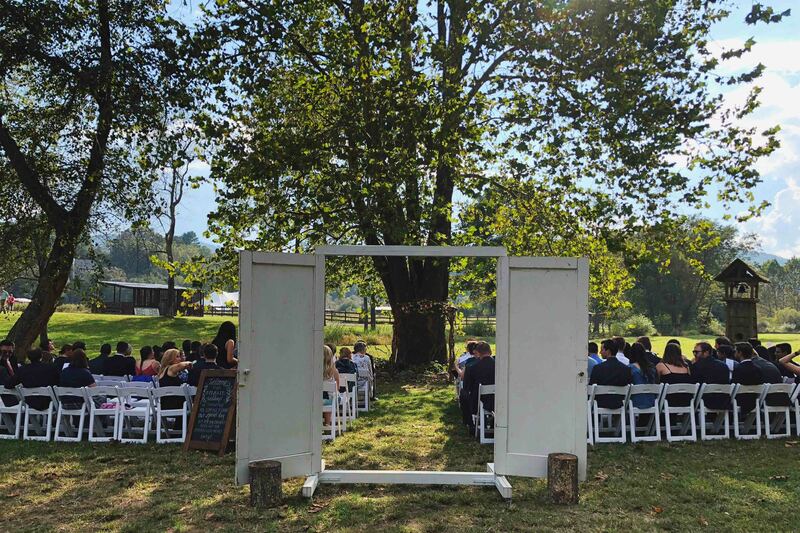 Nestled among the banks of the Swannanoa River in the most scenic valley of the region just 15 minutes from the heart of downtown Asheville, NC, experience a truly all-inclusive wedding, with all prices known–for a truly complete event–at the time of contract signing, and with onsite housing for up 30-50+ people on site. 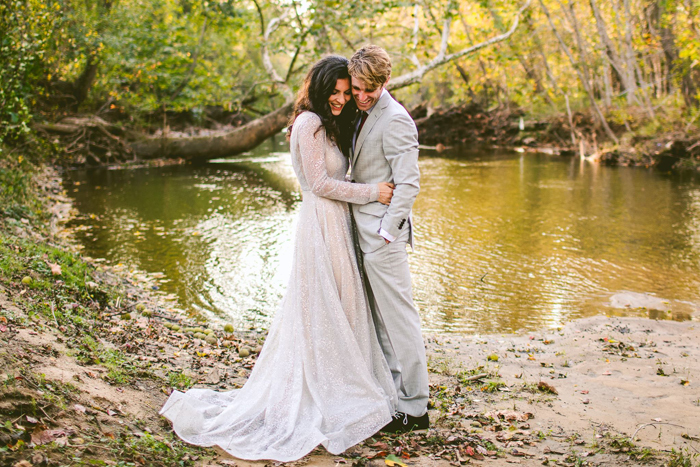 Hidden River Events takes the stress out of your planning so you can truly be a ”guest at your own wedding.” Whether it’s just the two of you for an elopement, the two of your with 20 guests and some cake and champagne or a complete wedding package of up to 50 guests, you’ll feel loved and ready for a great start to your married life. 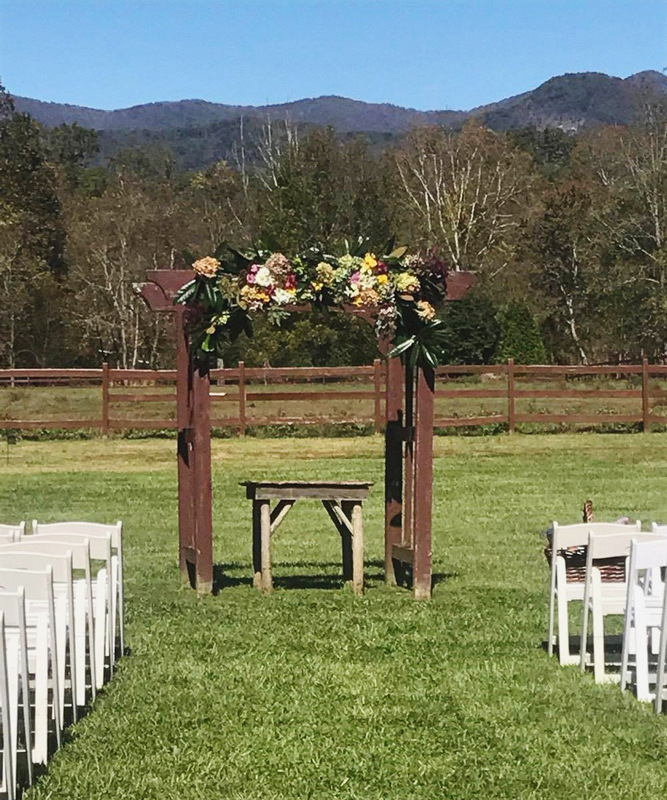 Choose from several different ceremony sites: river, pond, flower gardens, barn back drop, or a field with scenic mountain backdrop for an intimate ceremony that is created just for you. DJ is included with both ceremony and reception. DJ plays the couple’s music. Live music can be added as well. 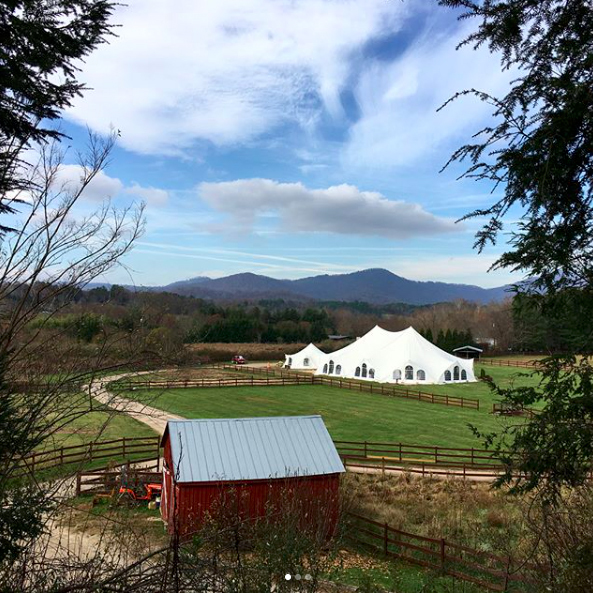 Follow your ceremony, for instance, at the river with a cocktail hour in the marrying field and then the reception in the tent. Take photos all over the farm and enjoy the dramatic sunsets that embrace the valley each night. 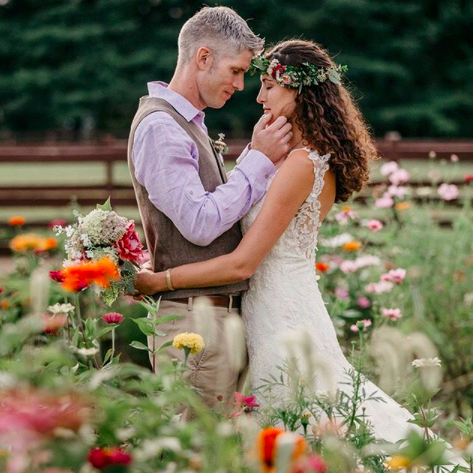 Our wedding receptions are all inclusive: food, flowers (table decor and up to three bouquets or boutonnieres), photography (4 hours and all reprint rights), dessert (choice of wedding cake, pie bar, or cupcake fountain. Choose from 70” round tables with white linens or elegant dark wood farm tables served family style. Our DJ plays your music and is not cheesy. 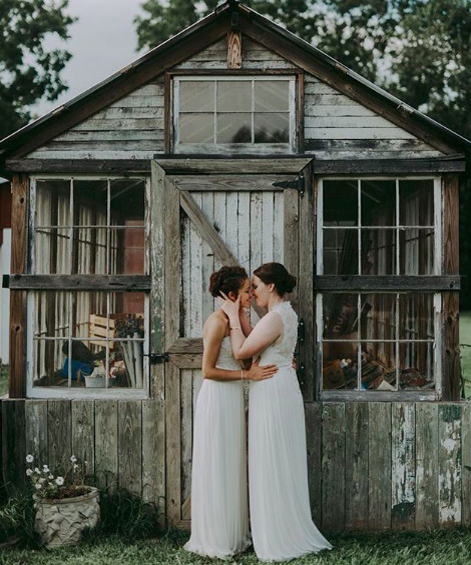 One of two carriages brings the bride to the ceremony site (elegant or casual) and takes you both away so you can snuggle afterwards and realize ”we’re married!” An onsite golf cart shuttles people around the property with special needs. Permanent bathrooms are located in two different locations on the farm. The bride has access to the bridal changing suite. Booked couples gain access to an event manager and a complete additional website that has all the information you need for an all-inclusive wedding. Depending upon the day of the week, packages can include housing or have it added. 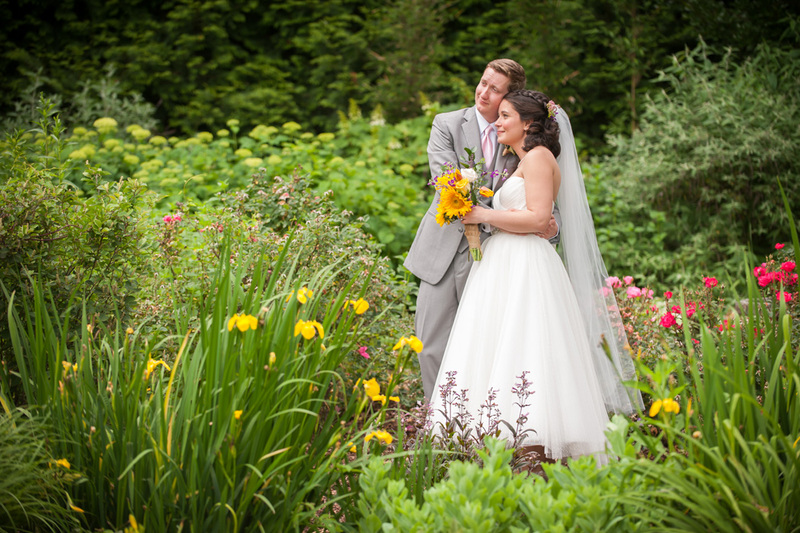 See our Small Wedding Package Pricing on the webpage for exact pricing details.